La Sirena Eco Adventures Guest Opinions ! Fantastic Whale Sharks and Turtle Release"
My wife and I were so happy to have you as our guide for the whale shark adventure, we agree that it couldn't have been better and were so thankful for our great boat driver Angles (sp??) too - he was fantastic. I've had the great fortune to be a guide myself and to be guided by many other, and your service was a sweet reminder of what great guiding looks and feels like...your enthusiasm right from the get-go "Who wants a burrito??" to the "Isn't this the best day ever?" and it was...as is every day in a positive upbeat world...but really, that whale shark adventure was AWESOME!!! And then to really nail it for me, nail it that what you are doing is absolutely amazing, was the turtle release. Yes the turtle release was amazing!!! Yes, our 3.5 year old daughter thinks you and your daughter are the coolest people on earth for doing what you do, and yes our daughter hopes to meet up with "Tim" again soon (the name she gave the turtle she helped back to the sea)...but the very fact that you and your husband go out every night, in the middle of the night looking for nesting turtles is what sold me. I've told our story, your story, a couple dozen times and I've only been home two days. 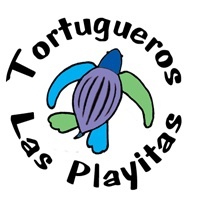 I'll keep telling the story, recommending people visit, enjoy a fish taco, cervesa in the sun, swim with whale sharks, but most of all participate and support a turtle release!!! Seriously the best snorkeling trip I've ever done. These guys are super fun to hang out with and are really conscious of the animals well being. Would recommend to all my friends and family. We had a fantastic time swimming with whale sharks- watching them feed and staring in awe at their sheer size. The trip was well organized, affordable, and the most memorable part of our trip to Todos Santos. Unlike other operators we saw chasing down the whale sharks, they put the health and safety of these amazing creatures first. The animals seemed to respond by swimming toward us and giving us a thrilling experience. For the University of Denver, I was conducting a large scope study on tourism in Baja using the 7 tenets of eco tourism developed by Martha Honey to evaluate the environmental, economic and social consequences or benefits of tourism here. I spent one month conducting this research in November 2013 driving to many cities ranging from Ensenada to Cabo San Lucas. I've participated and viewed many forms of tourism in Baja and majority of the time, the other companies only fulfill some of the tenets and frequently "greenwash" customers with "eco tourism lite" – a watered down version of what genuine eco tourism should be. Not only does this tour company satisfy these tenets, but they also know to how to have fun. Driving up and down the beach in the middle of the night looking for leather back turtle nests was an adventure and something that I would definitely do again. So if you want to explore Todos Santos, experience nature and support a company that is a force of good for this community, I would go here."